When I was an undergraduate in the 1980s, we were told that literacy is teachers’ business, not speech pathologists’ business. Then I had the great good fortune to have Pamela Snow (subscribe to her blog if you don’t already!) as my fourth year adult rehab placement supervisor. We worked with lots of (mostly) young men with head injuries, and using a lot of printed therapy materials. However, their literacy skills were often quite poor. This wasn’t always because of their (mostly) car or motorbike crashes. Many of them had poor literacy skills before they were injured, and perhaps some of the risk-taking behaviour that led to some of the crashes may never have happened if they’d been more able to stay home enjoying good books (remember, this is well before Netflix and the internet). 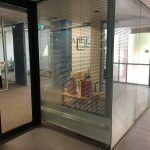 Since then, our whole profession has become much more aware of the skills we have to offer to clients with literacy difficulties, and more assertive in promoting this. This is brilliant. Please stay on and stake your claim in the literacy turf, you are an expert in the sound system of English, and sounds are the basis of our spelling system. You’re also an expert in language, which is what we use print to convey. 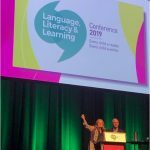 Give a copy of the Speech Pathology Australia position statement on literacy to anyone who’s not clear about your role and expertise, and get on with the task of helping everyone on your caseload and in your team to achieve to their potential in learning and teaching literacy skills. I hope this website helps you with this role, and please let me know if there are things you think could be improved on the site. Your feedback to date has been most helpful, and your encouragement very much appreciated. 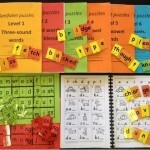 Speech Pathologists already understand the importance of phonemic awareness, orthographic knowledge and morphology for literacy and language, but finding high-quality synthetic phonics resources and strategies can be tricky, as mainstream educational suppliers’ phonics offer is often pretty sub-optimal to anyone with a background in linguistics. 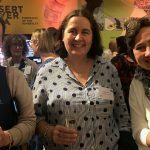 Click here to find lists of all the things I thought looked good when I did a big search for good linguistic/synthetic phonics resources. I hope this helps to winnow out the chaff available, and get you straight to the grain. If you’re working in schools, you probably have a large caseload and small budget, and need affordable materials that you can carry on a USB stick to print, bind and/or laminate at school, and which are straightforward for parents and aides to use. My Spelfabet materials might suit. They were designed to teach learners with language disorders, but I now use them with a range of low-progress readers, usually as homework. There are short video tours of all my workbooks here, and all the games here, plus a video demonstration of the movable alphabet here. I’ve also made a short video demonstration of how to use the first workbook, which you can find here. If you’re not sure at what level a learner should start, my free low-frequency spelling test might help you work it out. You can download free sample pages including the index from each workbook, and try them out with your learner(s), before deciding whether to get the whole book. The teacher/clinician version allows you to print up to 50 copies of each book, which should be enough for the biggest caseload, but if you only need 1-5 copies, just get the parent/aide version. The Spelfabet games reinforce the Level 1-3 workbooks’ patterns in a fun format allowing competition between students, or a student and yourself. The games are bingo-style or involve word-building, so they teach about words’ movable parts – phonemes and graphemes (I don’t have any games working on morphemes yet, sorry. DSF in Perth has some good ones). 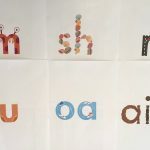 The basic Spelfabet moveable alphabet contains 100 spellings, which are my alternative to the “100 first words” early literacy teaching approach. 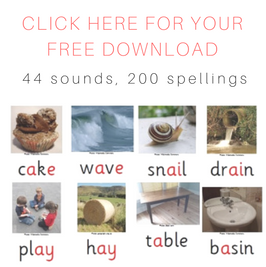 Why would you teach 100 first words when you could be teaching 100 first spellings, and how to use them to build and decode thousands of words? Many high-frequency words have entirely regular spellings anyway, and most “irregular words” only contain one or two funny spellings. I also now have a more advanced moveable alphabet for those of you who want to build multi-syllable words, since the basic one focusses on spellings used in one-syllable words. Word-building lists can help with using the moveable alphabet well, so both versions are supplied with Level 1 and Level 2 sequences, and when I get a moment I will make sequences for higher levels. Click here to see a video about the moveable alphabet, and here and here to see videos in which I use it to explain spelling patterns. Is this a whole program? 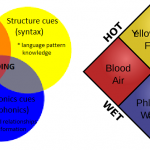 No, but I often use these materials as the backbone of a synthetic phonics program for struggling learners, and supplement them with a range of other resources. My learners can typically read some words and know one sound for most letters, so they aren’t absolute beginners, but there are gaps in their system and they are using faulty strategies. There aren’t any Spelfabet decodable books, but I use and recommend a range of such books including the Sounds Write Readers, Sound Out Chapter Books and workbooks, Little Learners Love Literacy books, Phonic Books and workbooks, Flyleaf books, Pocket Rockets, and the SPELD SA phonic books (free online!) which build learners’ reading comprehension, vocabulary and fluency. Remember that once learners make a start and crack the basic spelling code, the main thing that predicts their progress is simply the amount of practice they do. My first job as a new graduate – literacy was about 50% of my caseload. The next job – about 90%. Hi Claire, that’s mad! Can you send the lecturer who said that the SPAA Clinical Guideline on literacy? We wouldn’t be so busy if teaching degrees covered relevant linguistics properly.